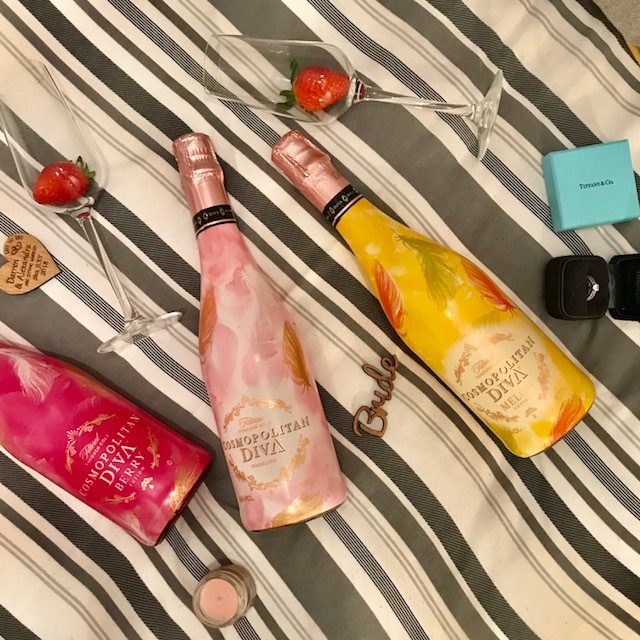 A week or two ago a different form of blogger mail turned up in the form of bottles of fizz! I was lucky enough to receive a few bottles of Cosmopolitan Diva. I had not previously heard of this brand but I was intrigued to try them out and see if I could be converted from my usual tipple !! 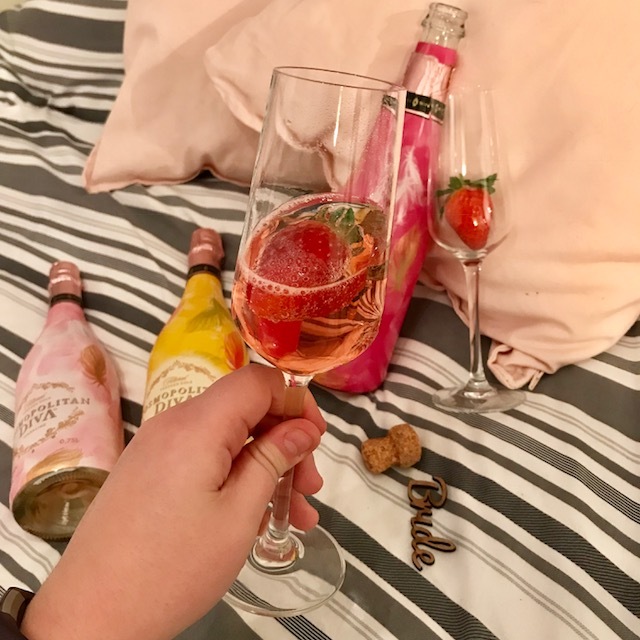 Cosmopolitan Diva is a lower abv (5.5%) Low calorie fruit sparkling wine that is available in various flavours along with a non-alcoholic addition too. Each drop of sparkling wine has passed through an exclusive pure gold filtration system! I really liked the packaging when it arrived as I thought it looked a little different and fun! I thought it would be a nice drink to take around to a friends house for drinks - which I will be doing this weekend. 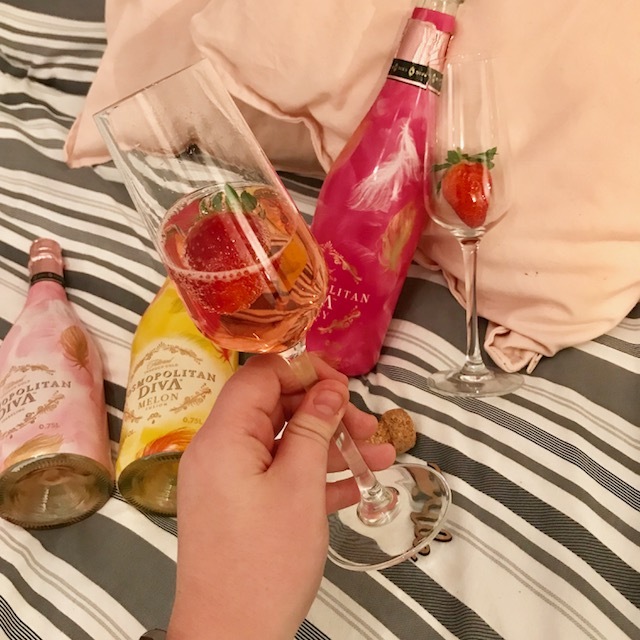 Firstly I tried the Berry flavour which I loved, it was really sweet and didn't taste very 'alcoholic' which may sound silly but I don't particularly like strong alcohol tastes, I prefer something fruity and sweet. I would defiantly pick it up again as I really enjoyed drinking it. There are 78 calories per serving which is pretty good for a sparkling wine which makes it slightly guilt free (sort of). The original flavour which is peach, I didn't like as much but it was still nice and the Melon I am yet to try as I am hoping to share it with my friends this weekend!! I love trying new drinks and this was no exception, I wonder if you could create cocktails with them - maybe I can try that if I pick some up in the future! Have you tried Cosmopolitan Diva before ? Are you a sparkling wine fan? These look so good. I've never heard of them before but they are def now on my to buy list! !